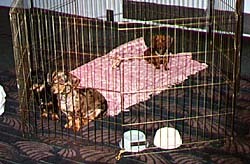 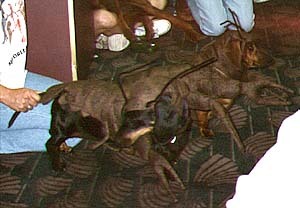 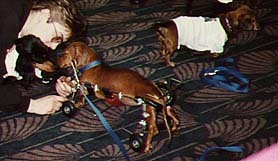 The 1996 Bow Wow was held in New Orleans, LA. 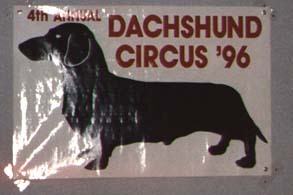 coinciding with the annual DCA show. 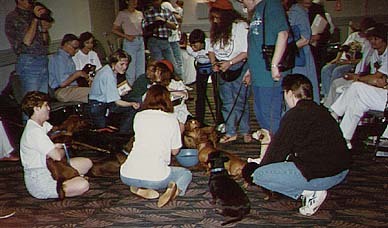 Organized by Jere Mitternight, the Bow Wow was a howling success. 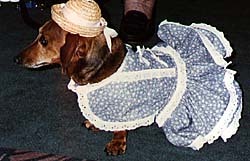 Events included the second annual Doxie fashion show featuring country gals Sally and Gretchen Henry and the crawldoxes (Tasha and Chelsea Hamilton). 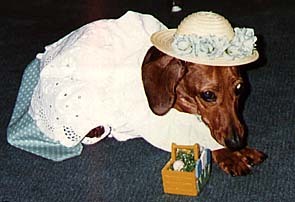 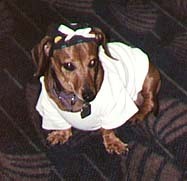 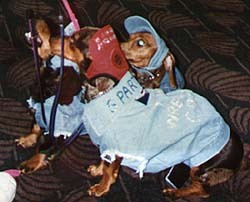 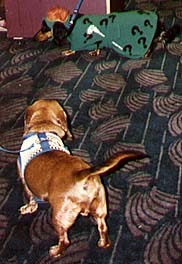 Other popular events included the return of Doxie Bingo and a favourite with the doxies, weiner bobbing.